Arrive and settle into the present moment. By becoming aware of the needs of your body, establish an intention for the class. 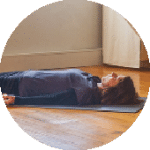 Create ease and comfort within the physical body. Have a flexible mental attitude and practice within your range of comfort. Experience a sense of vitality, calmness and being in your centre. 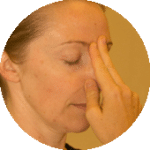 The various pranayamas are an effective tool in stress management . Some practices give you an extra boost of energy. Others have more a calming, balancing effect. Experience how your mind can become calm and alert. 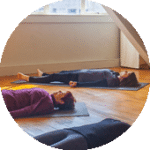 Yoga Nidra allows a deep relaxation on a physical, mental and emotional level. It is an effective tool in stress management, enhancing performance, and recovery after trauma. It trains your mind to internalise and prepares for meditation. It enhances learning and memory. Learn to become the observer and gain an insight into the underlying motives and values of your actions by accessing the deeper levels of the mind. Tap into the power of your mind. Secure your place and experience the benefits of joining a weekly classes. Classes are held in Nelson and Mapua. 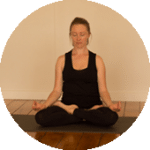 Deepen your practice through a personalised program. Class can be recorded as podcast.